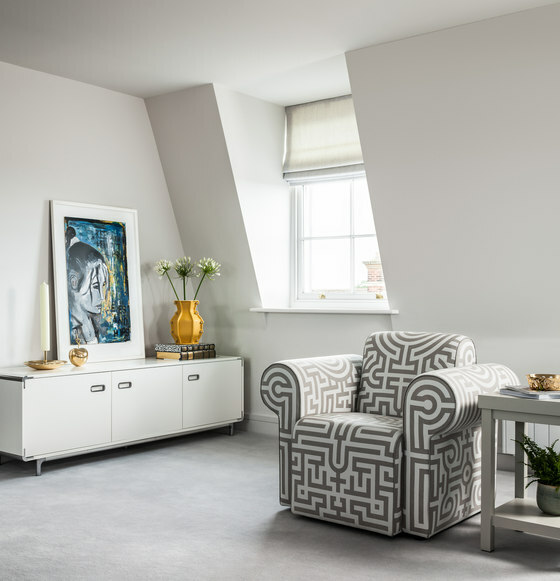 This large penthouse apartment was renovated and redesigned by Jane Richards Interiors. The objective was to create a harmonious flow between the two main living spaces and adjacent terraces. The space was repositioned and redefined to create the perfect balance between functionality and aesthetics. 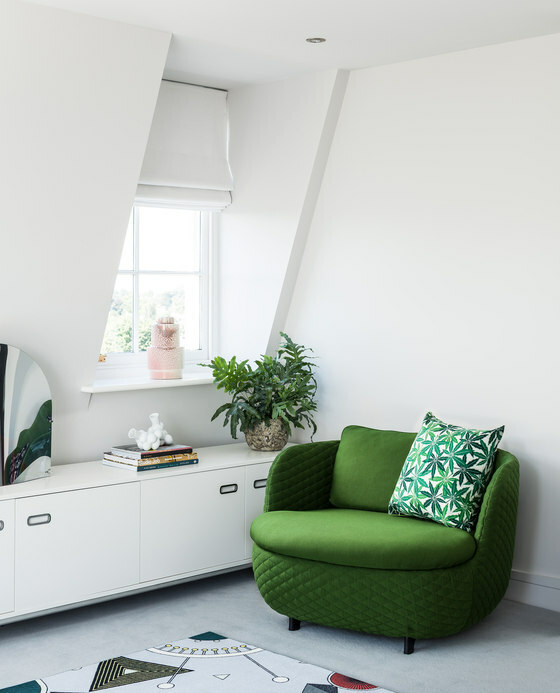 A quiet color palette contrasted with bold detailing features throughout the apartment, ensuring a calm and elegant, yet fresh and contemporary feel. The main layout is an open space with a living and dining areas, which seamlessly flow into each other. 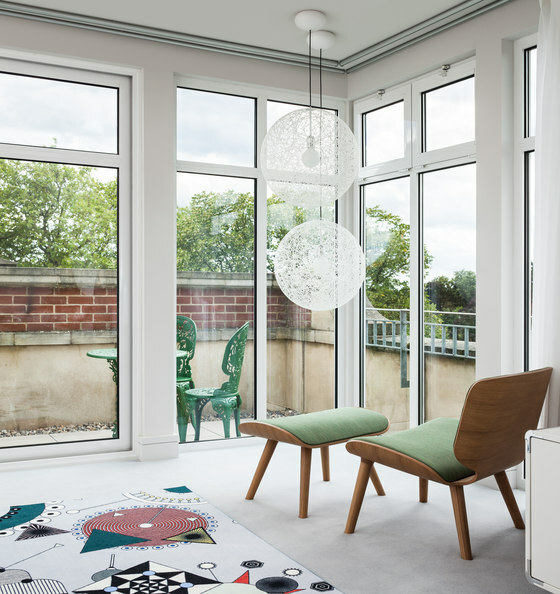 The space is done in off-white with attic windows, and the furniture inspired by Dutch design. 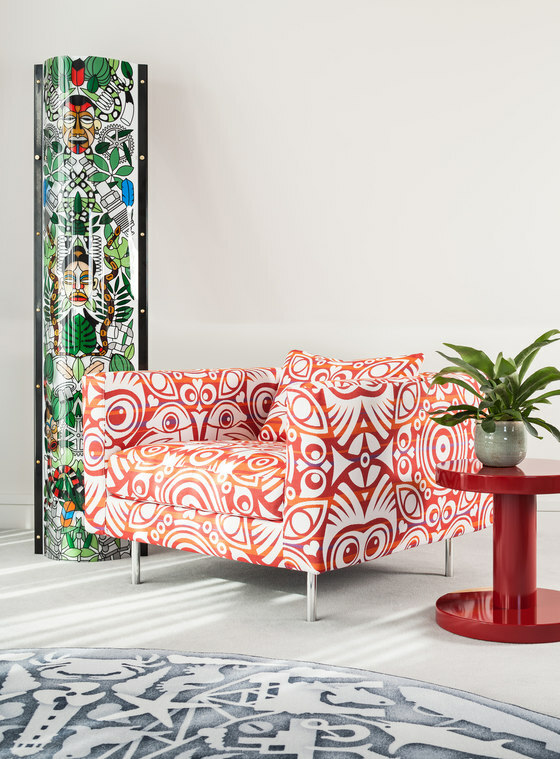 My favorite idea implemented into the decor of this penthouse is the use of bold printed upholstery, which adds color and pattern to the spaces making them interesting. 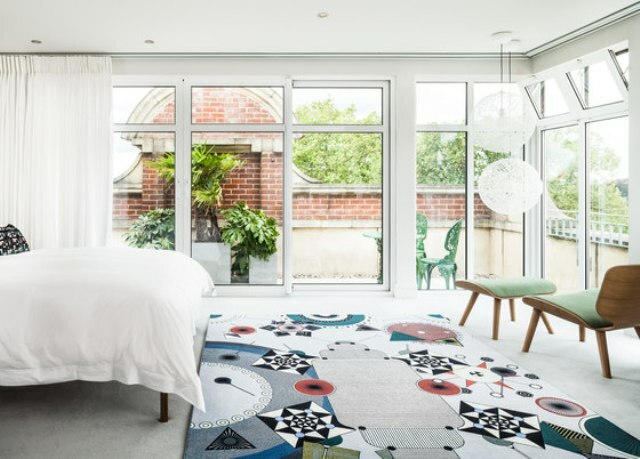 The master bedroom features glazed walls with an entrance to the balcony and peaceful decor except for a super colorful rug on the floor. 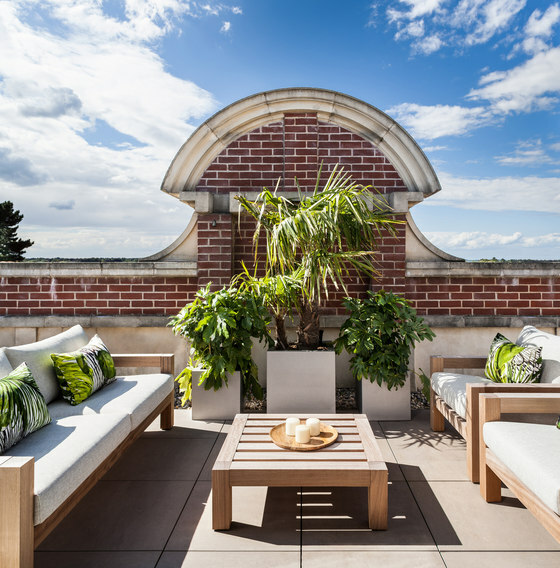 The terraces are my favorites ones here – this penthouse really takes maximal advantages of them. 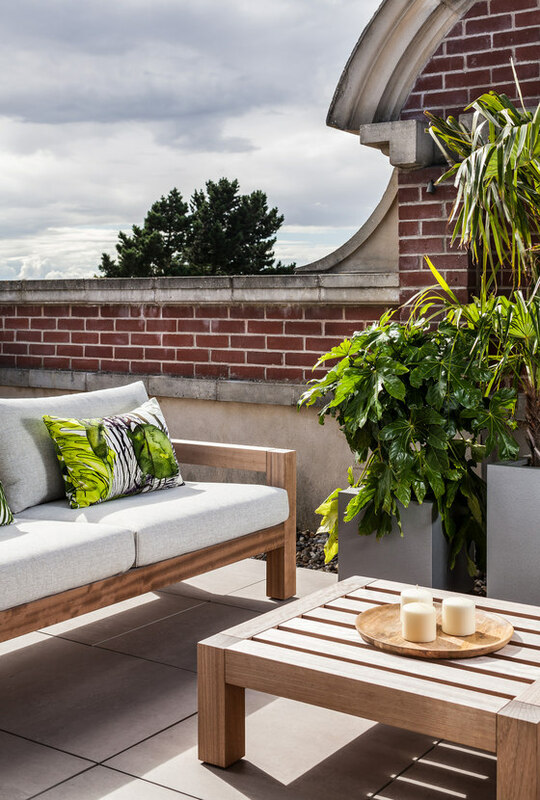 Here you may see a central sitting zone with potted plants and greenery and contemporary outdoor furniture – ideal for receiving guests. 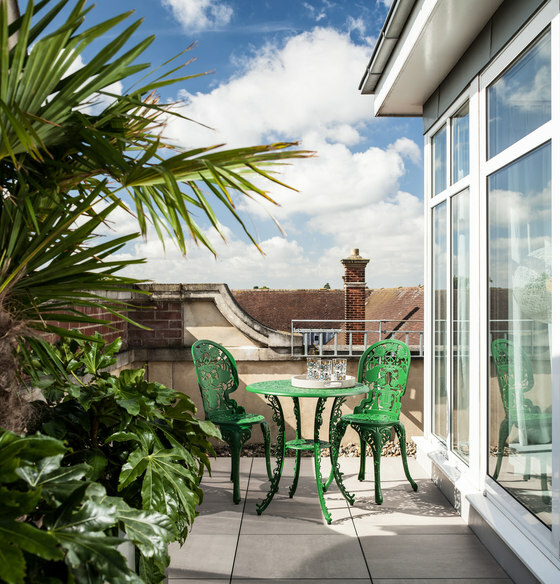 There’s also a small and intimate dining space for two with forged furniture, which is hidden from the eye with potted greenery. 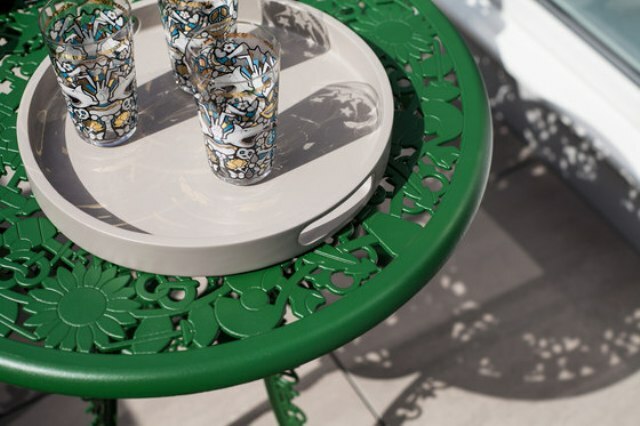 Take a closer look at this gorgeous set of a white table and two bold grene chairs – they are a perfect match! 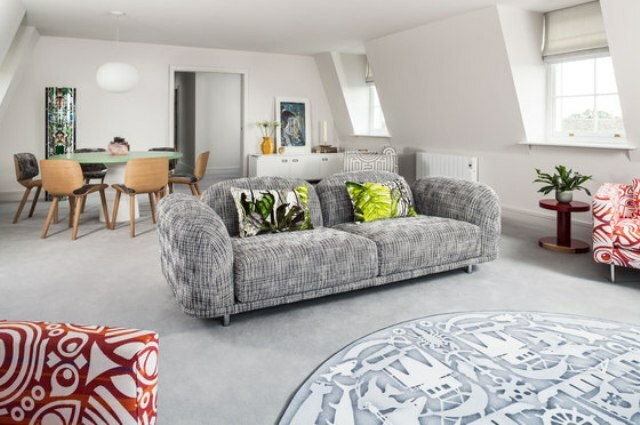 The other rooms of this penthouse are to be renovated this winter, and I hope we’ll see more and more gorgeousness soon!